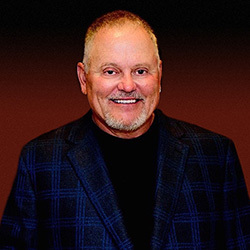 American entrepreneur, philanthropist and U.S. Marine Corps Veteran, Bob Parsons is the CEO and founder of YAM Worldwide, Inc. Best known as the founder of GoDaddy, Parsons began YAM Worldwide in 2012 to house more than a dozen businesses, including YAM Properties. With a strong interest in real estate and deep understanding of the local market, Parsons has led YAM Properties to success. Since its launch in 2012, YAM Properties has acquired more than 2.5 million square feet of commercial property. Companies in the YAM Worldwide family mirror the industries Parsons is passionate about and include: Parsons Xtreme Golf (PXG), Scottsdale National Golf Club, Harley-Davidson of Scottsdale, Southern Thunder Harley-Davidson, GO AZ Motorcycles, Spooky Fast Custom Finishing, SNEAKY BIG, The YAMWOOD Foundry, YAM Capital, YAM Properties and BIG YAM, The Parsons Agency. In 2012, Parsons and his wife Renee founded The Bob & Renee Parsons Foundation.